The Fall Protection course offered at Western Canada Fire & First Aid is an 8-hour course that has been designed to address the fall safety needs for industrial and commercial workers in the province of Alberta and was developed in accordance with the Alberta Construction Safety Association (ACSA) requirements. 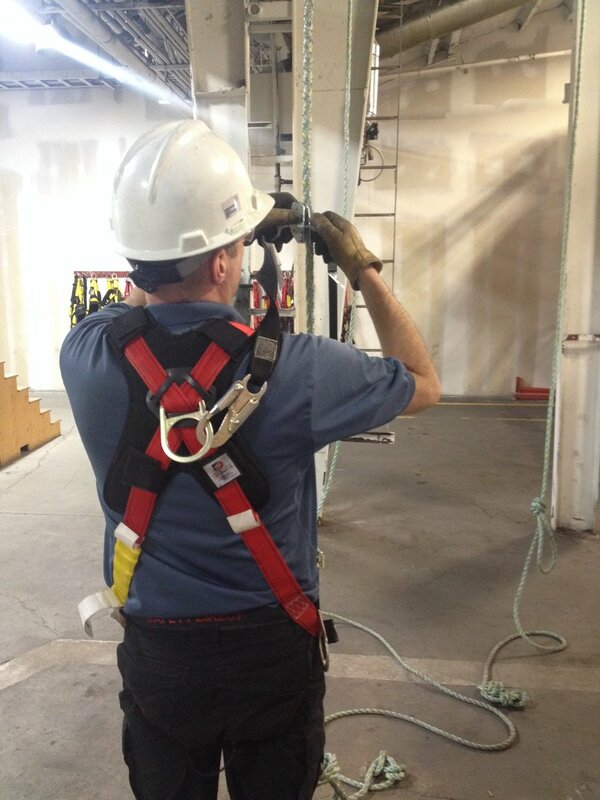 If you need oilsands specific training, please refer to our OSSA Fall Protection course. Who Should Attend Industrial Fall Protection? All persons who are required to use fall protection devices where there is or may be a danger to workers falling. The purpose of this fall protection program is to ensure that participants understand fall protection safety principles and how they apply to real work environments. At the end of the course students will understand how to use the equipment correctly and to use fall protection at all times. Rescue: Rescue concepts, principles and planning, Suspension trauma, Working alone. Fall Protection Basic Rescue requirement.